This story reads like Tolkien re-written by Spike Milligan. 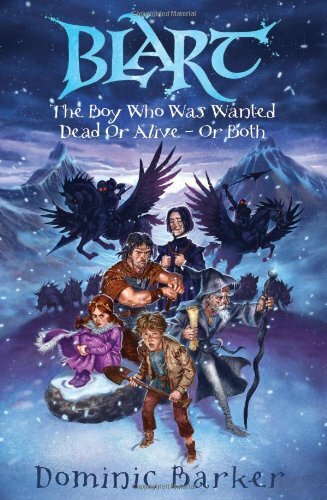 The sequel to an equally entertaining previous novel, it continues with the adventures of Blart, a 15-year-old swineherd with few redeeming features. Stupid, cowardly, boastful and generally inept except when it comes to looking after his two pigs, one called Venerable and the other Bede, he finds himself once again in the surprising position of having to save the world. Travelling with a small gang of misfits whose dislike of Blart is the only binding factor keeping them together, the group experiences numbers of tight situations only escaped from at the very last moment, usually by the application of some opportune act of magic. There are too many jokes about torture at least for my taste, but otherwise this tale provides laugh-aloud pleasure from start to finish. Expertly puncturing any chance of rhetoric with deadpan irony throughout, it should particularly please those readers who may sometimes wonder whether other contemporary fantasy novels sometimes come over as too grandiose for their own good.